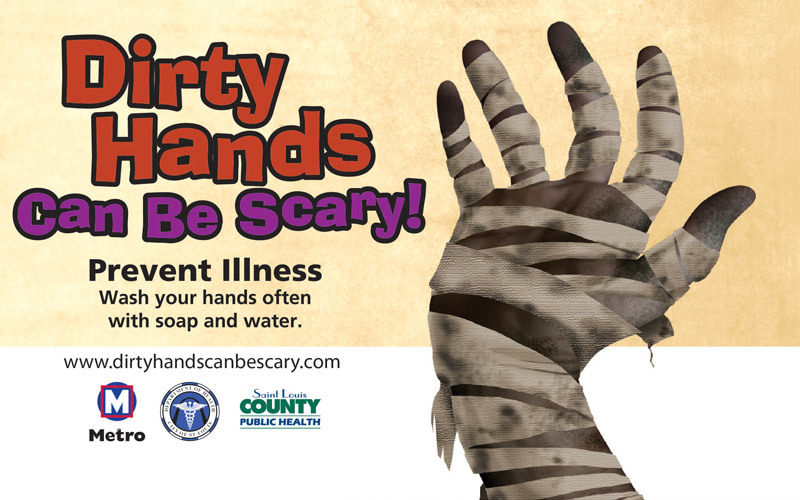 Dirty Hands Can be Scary! 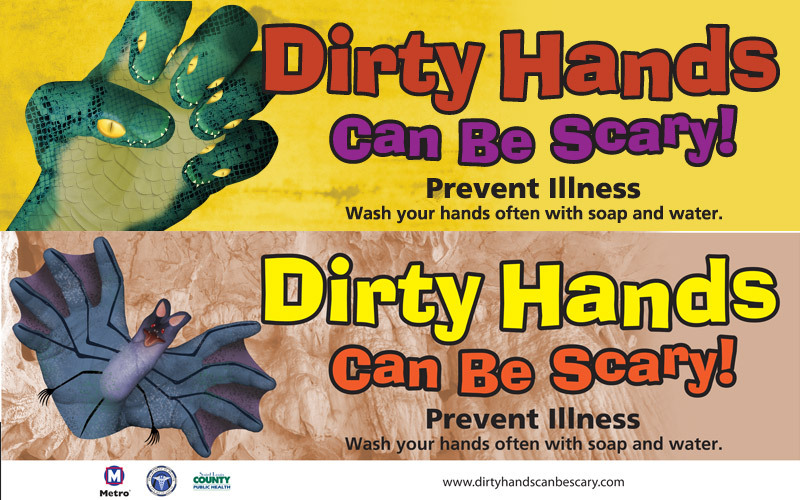 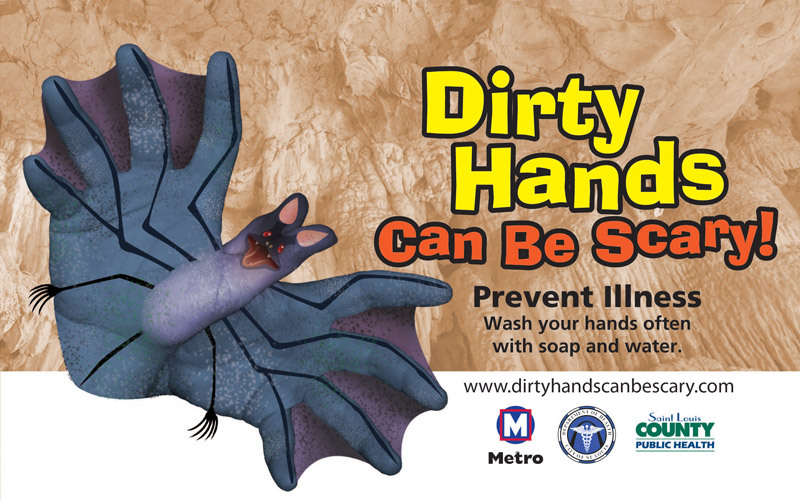 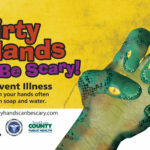 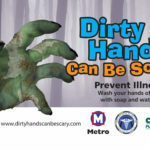 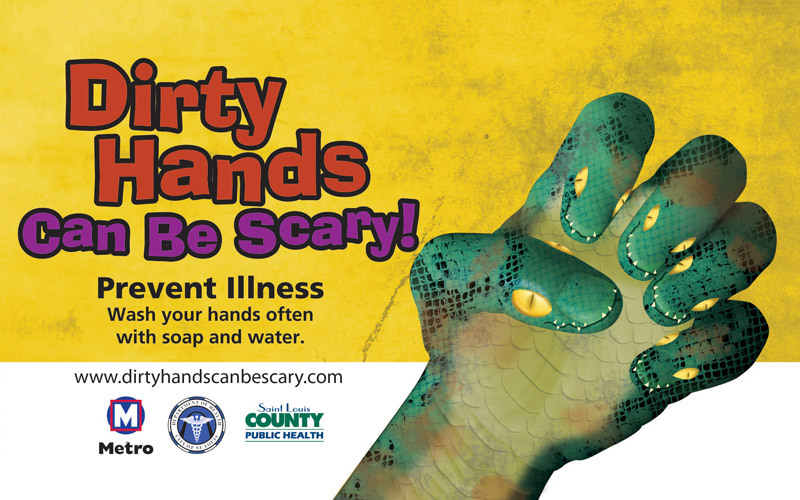 is a hand-hygiene campaign designed by the St. Louis County Department of Public Health, in conjunction with the City of St. Louis Health Department to promote and educate on the importance of hand-washing, and to prevent the spread of disease. 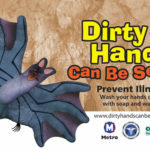 It was developed primarily to show how something as simple as washing your hands for 20 seconds, can help prevent respiratory illnesses, diarrheal illnesses, foodborne illnesses and travel-related illnesses. 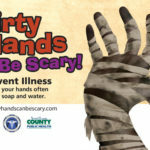 Are you interested in using images of the Dirty Hands Can Be Scary! 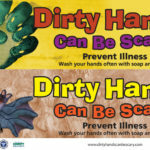 campaign for your school, business or personal use? 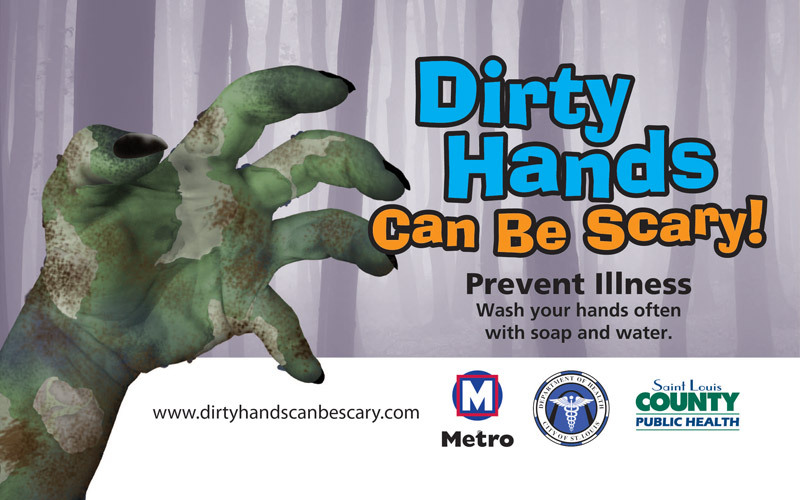 Visit this link for more information!